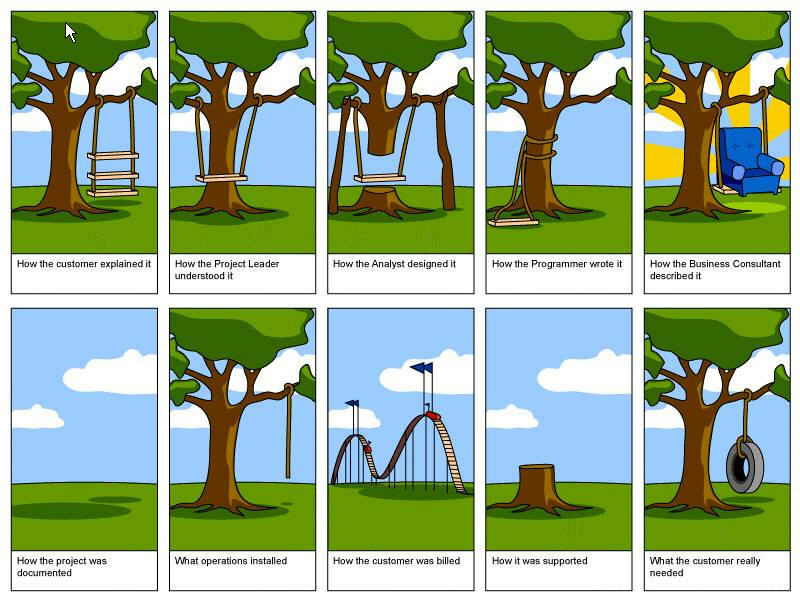 Shouldn't this be reason enough to opt for an Open Source development model? 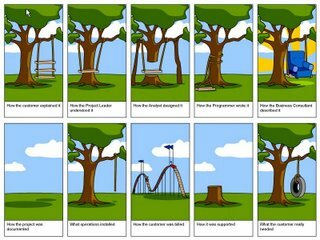 In a traditional software development model, the client asks for one thing and is delivered something else not to say anything about the galloping costs involved as is rightly illustrated by the cartoon below. Shouldn't it be reason enough to take a long hard look at the development model of open source software instead of sticking to the traditional model of software development with its all too evident fallacies? I think the problem with sofware development is that programmers have become too lazy and are held too high in esteem by non-techies.